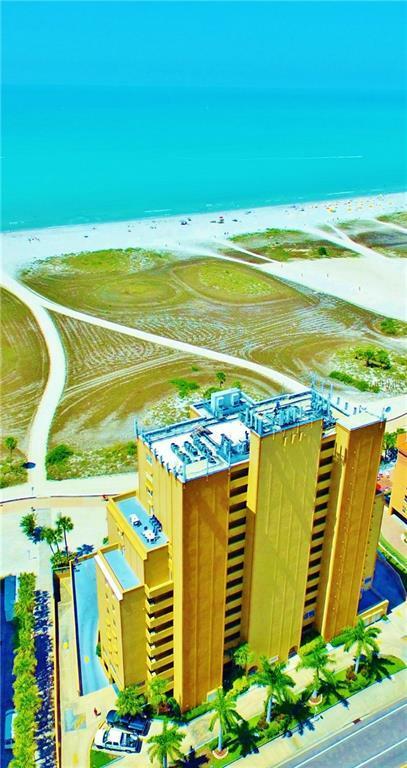 Breathtaking views of the Gulf and the sandy beach from this 2/2 corner unit condo in Treasure Island. 1120 sq. ft. of living area, fully furnished. Master bedroom and living room open onto beautiful balcony. Beautifully appointed, ready to move in and / or rental immediately. 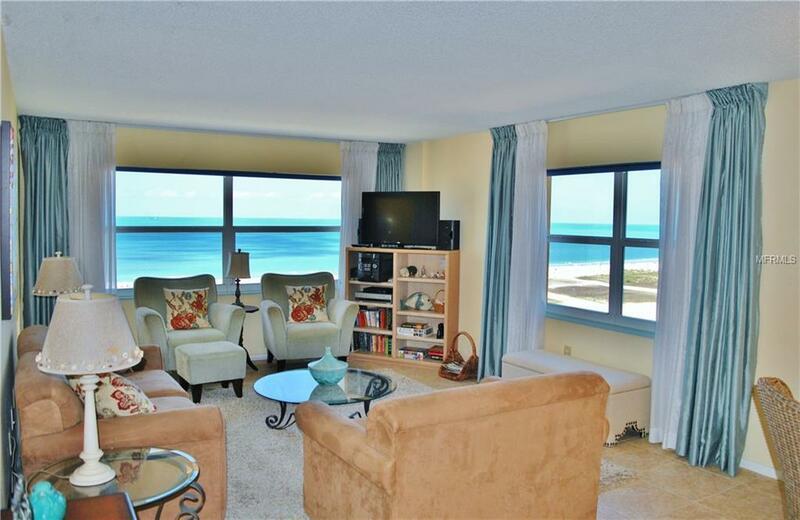 Condo features include: a spacious club house with game room, private reading area, elevator, heated ocean front pool and storage locker. No pets of any kind are allowed. 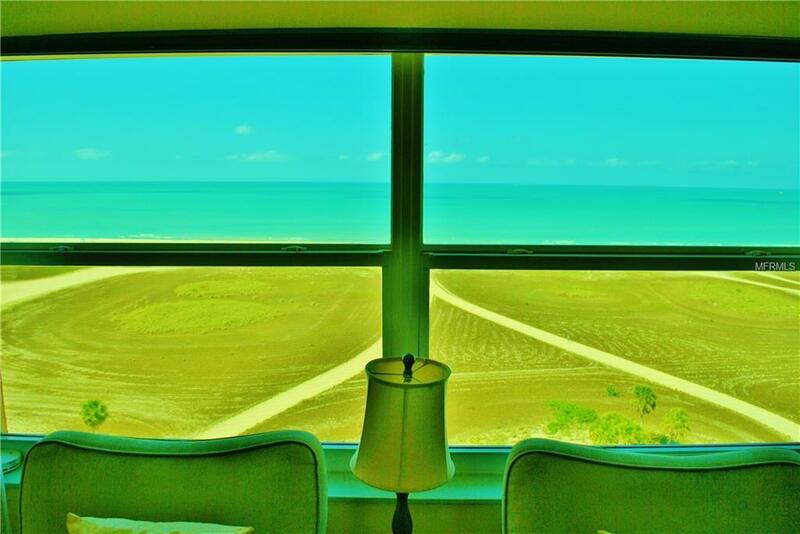 Own a piece of paradise at such a great price! Laundry located directly across hall from the unit. New A/C 2017 Newer hot water heater. 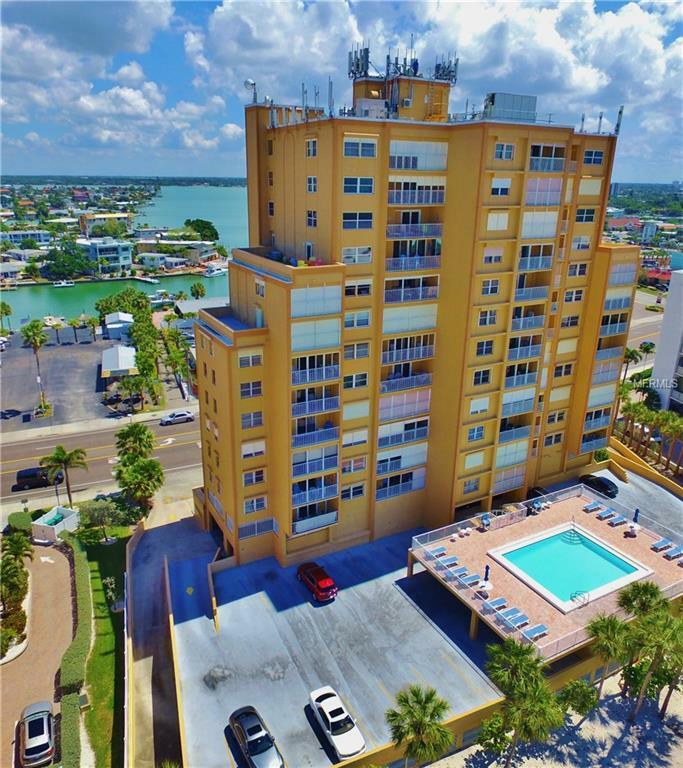 Panoramic views of the beaches, islands and the inter coastal waterways.Condo rules and regulations are available upon request.